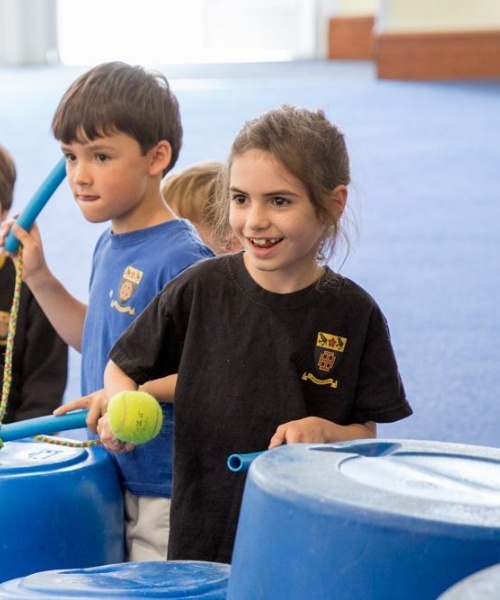 The Junior School was filled with music, with an exciting programme of workshops, concerts and the first ever Music Festival. “The children have performed their pieces with confidence, polish and above all, STYLE” – glowing praise from the adjudicator, Ben Costello, at the Finalists’ Concert. Mr Costello has adjudicated festivals internationally for the British and International Federation of Festivals, and was certainly impressed by the young musicians at St Benedict’s. 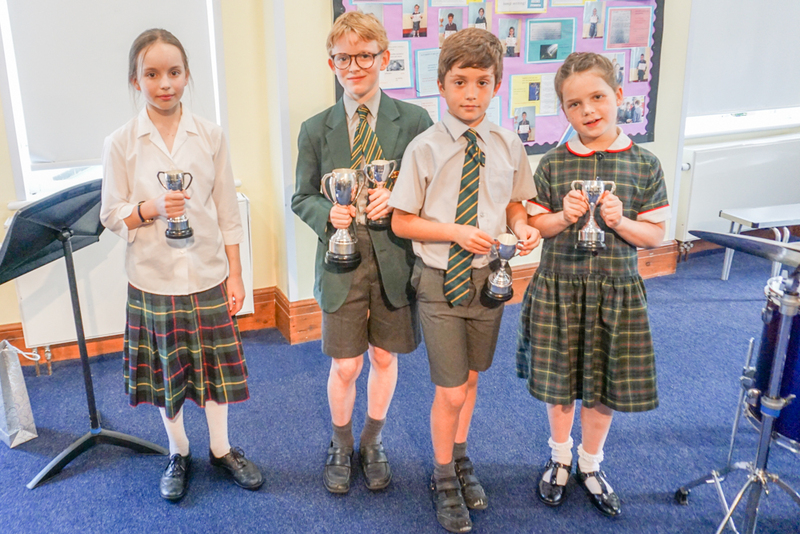 On Monday, he heard 89 performances, given by pupils aged 7 to 11, on strings, woodwind, brass, piano, guitar, percussion and voice, and had the difficult task of deciding the cup winners at the Finalists’ Concert. 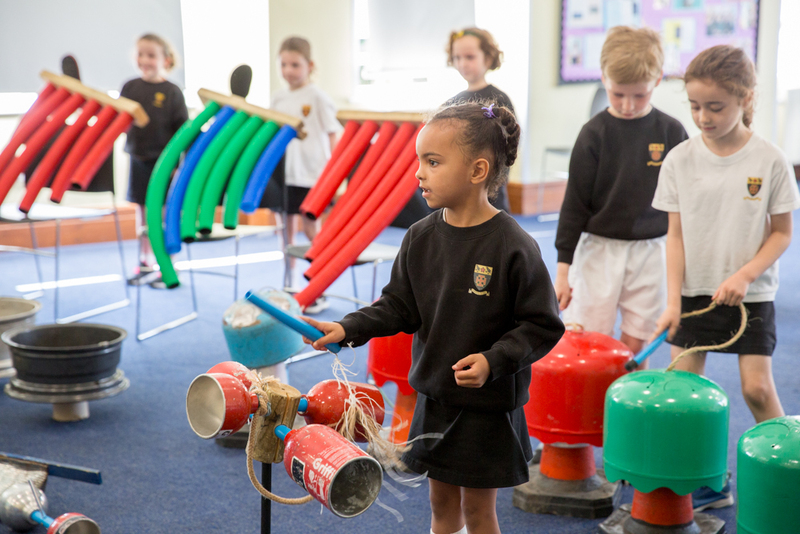 Children in Nursery and Prep Prep (Reception to year 2) had a wonderful time with Marco, who brought a fabulous collection of percussion instruments made from gas canisters, moped wheels, bottle tops and many other bits and pieces. The resulting sounds were surprisingly beautiful and exotic percussion music drifted through the Junior School all day. 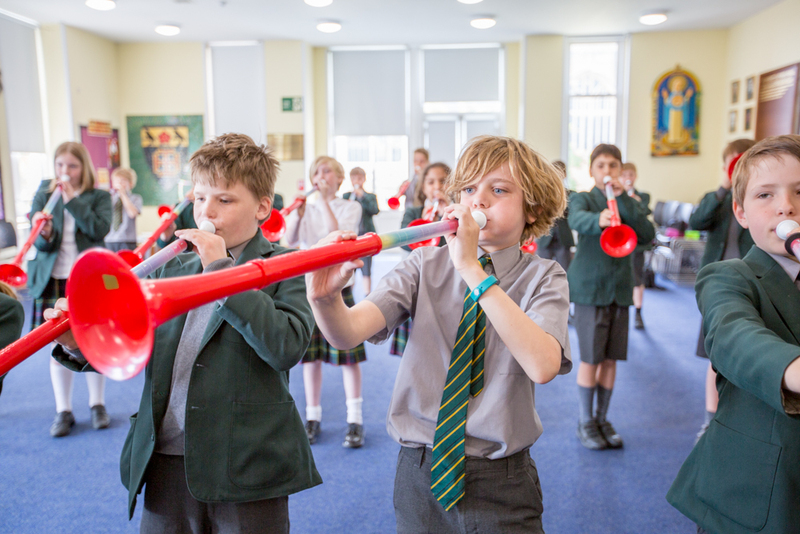 PBuzz workshops had children in Prep to Form 2 (years 3 to 6) practising their coordination and synchronisation skills as they got to grips with this intriguing instrument - a cross between a trumpet and a recorder. Pupils had a lot of fun – and learnt so much about singing, dynamics, rhythm and pitch – as the professional singers of Apollo 5 taught them a range of music. The final performance of this fabulous week of music making was a showcase for musicians in Lower Prep to Form 2 (years 3 to 6). Again, parents and staff enjoyed poised, confident and musical performances. The children played and sang with obvious enjoyment, as well as being a supportive, attentive audience for each other. 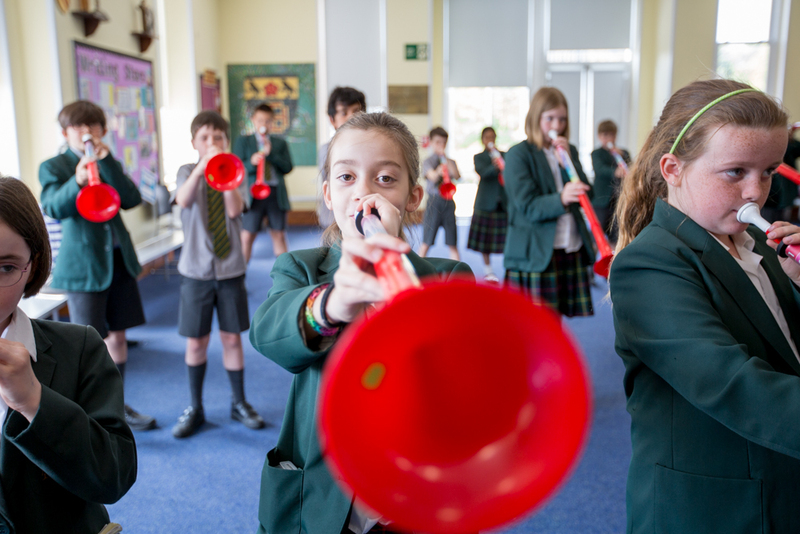 All in all, St Benedict’s Junior School Music Week was a resounding success and a fitting celebration of all the excellent music making which takes place in the school week by week.